The Ganges river dolphin historically ranged from Ganges-Brahmaputra-Megna (GBM) and Karnaphuli-Sangu (KS) river systems, from the deltas upstream to where rocky barriers, shallow water, fast currents, dams, or barrages (low, gated, diversion dams) prevent upstream movement in Nepal, India and Bangladesh but now only remains in highly fragmented populations across Ganges and Brahamaputra river system. The species is extinct from most of its early distribution ranges. 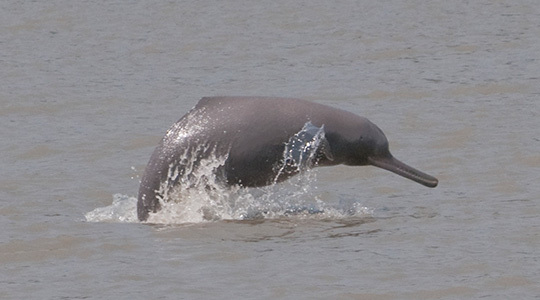 The Indus River dolphin (Platanista minor) is one of the world's rarest mammals and the second most endangered freshwater river dolphin. Approximately 1,100 specimens of this species exist today in a small fraction of their former range, the lower reaches of the Indus River in Pakistan. 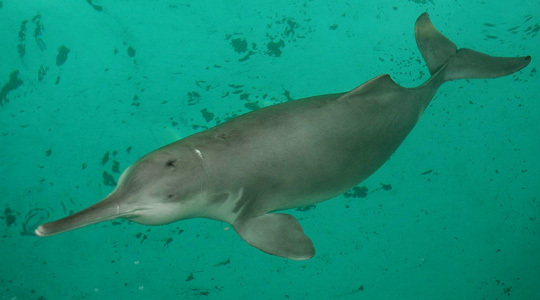 However, the population of this species has gradually declined because of various factors, including water pollution, poaching, fragmentation of habitat due to barrages, and dolphin strandings in the irrigation canals.